...Herb Gardens are delightful to have and useful too. ...Having fresh herbs available, from your own garden, when cooking or when making a spcial craft, gives you such a comfortable, earthy feeling. Like you have, really, connected with nature. ...The smells are wonderful. There are so many. I like to walk through my garden pinching the leaves and breathing in all the glorious fragrances. My pup, Eddie, enjoys the aromas too. He follows behind as I go from plant to plant. ...Growing herbs in an herb garden adds a special ambiance to your outside living space. ...Before you begin, you may want to call around to some of your local plant nurseries and ask them what herbs they carry. 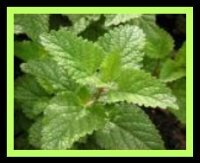 You will be able to get a good start, but if you decide you want some of the more uncommon varieties of herbs you will probably have to go to mail order. 1. Choose the herbs that you would like to plant in your herb garden. My favorites are basil, chives, dill, oregano, parsley, rosemary, sage, peppermint, and thyme. These are also the most popular. Of course there many varieties of the basic herbs, it's all in what you prefer. 2. Next select the pots or cantainers that you will be using. Don't hold back, get creative. You may want to use containers that match or ones that have a more whimsical look by using different colors, shapes, and textures. Maybe you would like more of a Victorian look. It is all up to you. **Oh yea, kids love to plant herb gardens too. You can work in a good "teaching moment" when you share these experiences with your kids. Who knows, you might learn something too. **Make sure that the containers and or the area, that you choose to plant your herbs, has suffient drainage. 3. Next fill your container with small rocks, gravel, or pieces of broken terra cotta pots. 4. Then fill your container with a good potting soil mixture and stop about 1" from the top. 5. Water your soil throughly. 6. Next plant your herbs. **I plant some of my herbs, like rosemary in pots by theirselves. They tend to grow very large plant. ...When I'm planting an herb pot, for a gift, I mix it up. I like to make "themed baskets". I will talk about these a more in a little while. 7. After planting your herbs, water throughly. 8. 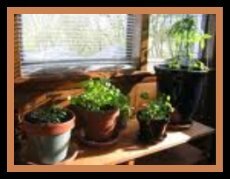 Place your pots where they will get at least 6-8 hours of sun per day. ...Herbs are very pretty planted in hanging baskets, as well. ...Themed planting is a lot of fun and you can get very creative. 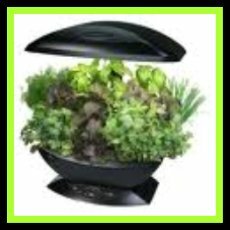 You can even plant "mini" themed herb gardens in your large herb garden. I like to give my herbs away as gifts. So, I make themed baskets. **Herbs to include would be.. Basil, Oregano, Chives and Thyme. Then I add pasta, a bottle of olive oil, garlic pods, onions, a wedge of parmesan cheese, fresh tomatoes, a loaf of garlic bread etc. Of course you can add as little or as much as you want to your basket. The recipients love this gift. A grouping of Parsley, Oregano, Sage, Thyme, Chives, Lemon Thyme, and Basil. To this you could add some small pots of flowers for a splash of color. 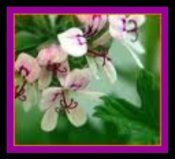 Rose scented Geranium, Peppermint, Rosemary, Anise Hyssop, and Lemon Balm. You can mix dried herbs with fresh herbs for great tea mixes. You can add a beautiful teacup and saucer and the gift is complete. Include Lavender, Rosemary, Peppermint, Orange scented Geranium, and Lemon Verbena. These herbs are also good to use for making crafts like scented pot holders and dream pillows. 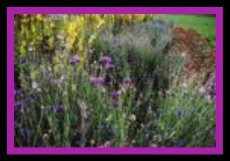 For a headache try any of the following as a tea...Rosemary, Sage, Thyme, Lavender Flowers. Try Lavender oil or crushed peppermint leaves and rub over the temples and forehead. ...Herbal window boxes are very beautiful too, add in a few flowers and you will have a showcase for all the neighborhood to see. Creativity is the name of the game. herb gardens as much as I have enjoyed mine. Do You Have A Story About This Topic? Do you have a story, some pictures, or how about a creative planter that you have come across? We would love to hear from you and share your experiences. Your story will appear on a Web page exactly the way you enter it here. TIP: Since most people scan Web pages, include your best thoughts in your first paragraph.